What are slide and fold doors? 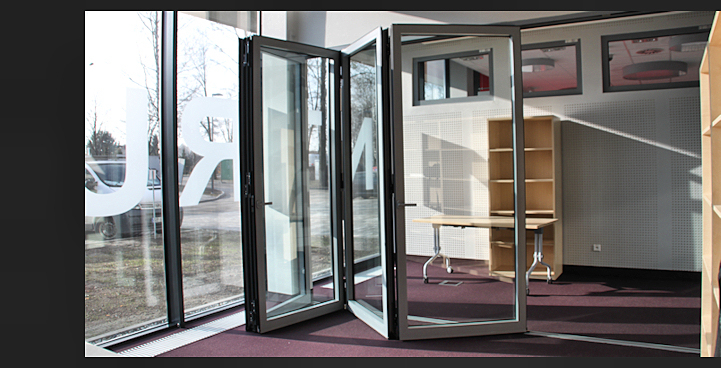 Slide and fold doors are very popular in Western Europe and are also gaining more and more fans in Poland. 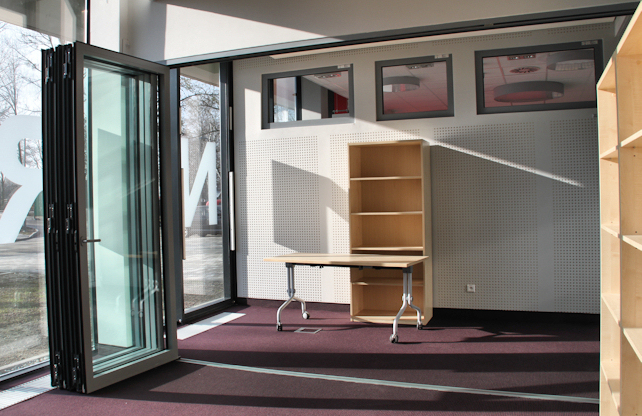 They allow construction of non-standard external and internal partitions. The compact size of the folded structure as well as its tight-fit, typical for traditional doors, have an influence on the growing popularity of such systems. We can offer you fold systems such as: Aliplast Visofold, Reynaers CS77, SAPA, YAWAL and others. 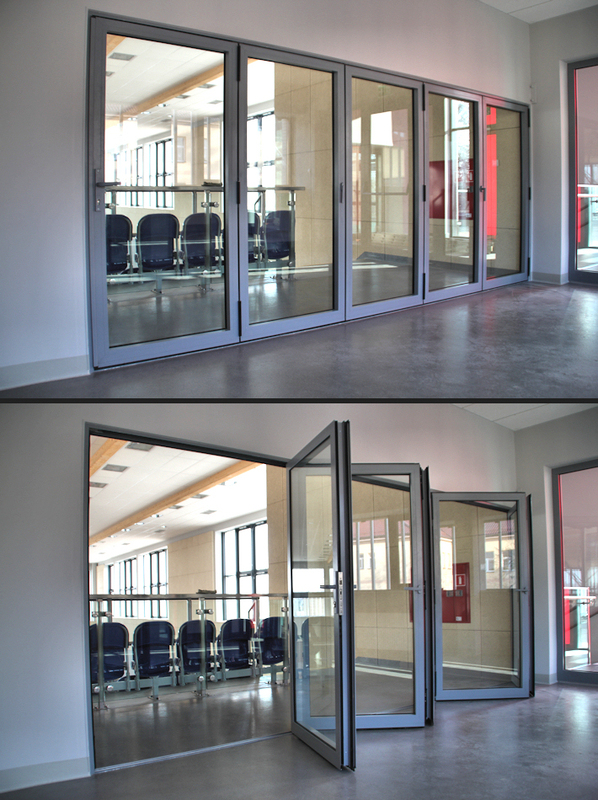 Depending on the customer’s requirements, fold doors can be made in the form of external or internal walls, suspended or with traditional guides or without any posts as in the New Panorama system. There are a few versions of thresholds to choose from, a few levels of tightness and types of fittings. It is worth mentioning that it is possible to make corner doors which fold fully. 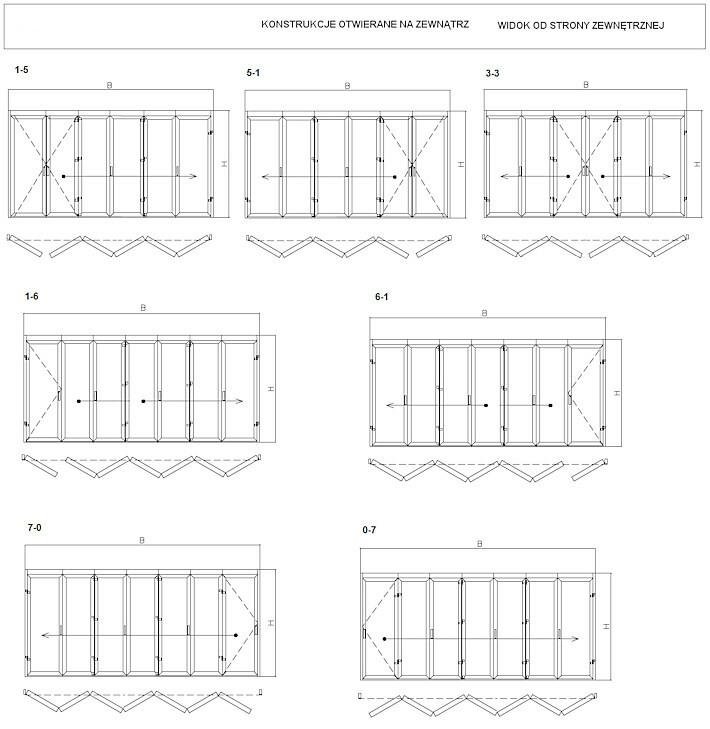 A folding system is partly a sliding system since doors slide on suspended rollers or on a threshold rail. Additionally, sashes are equipped with hinges which allow the structure to fold. There are several options for opening the sashes, depending on how many of them will fold to one side and how many to the other. 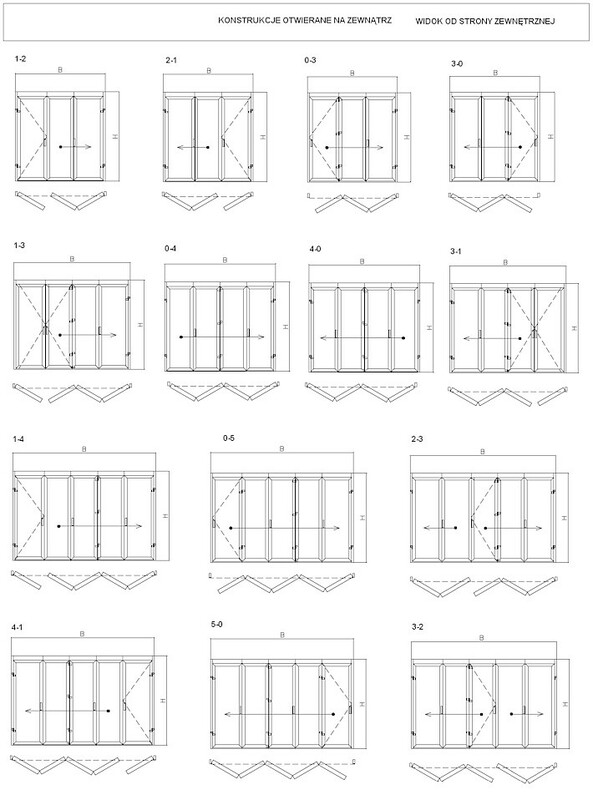 For example, a door consisting of six sashes can be arranged in such a way that it folds one way or one sash may work as a standard door whereas the rest would fold to one side. The structure could also be divided in two, where three sashes fold one way and three the other way. The number of options of arrangement is surprisingly high. Systems produced today are of high rigidity and their perfected profile joints and seals guarantee thermal parameters not worse than those of traditional lift-and-slide doors. Slide and fold doors are made of profiles which have been powder coated with one of the full RAL scheme colours, anodised or coated with structural wood-simulating paints. The structure can be painted different colours on both sides so as to match particular interiors.